Born in Mexico City in 1953, I am a self-taught artist, a lot of years exploring the way to build images using painting or computer. My one man exhibitions are more than 15 in my country, and i had been in more than 50 collective exhibitions some International and some in mexico. My paintings are part of many private collections around the world, like Germany, USA, Spain and in some museums in Mexico. 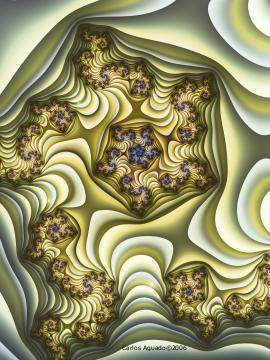 I had give some lectures about fractals on art. The exhibitions, sometimes, are of painting, other times of digital art. I had illustrate one book, and paint a mural for Leschaco Mexico, for their office in Mexico City. In my art I have and endless search, to improve technique and the expressive content, and i try to use high quality materials. There had been a long way to get what i produce today. 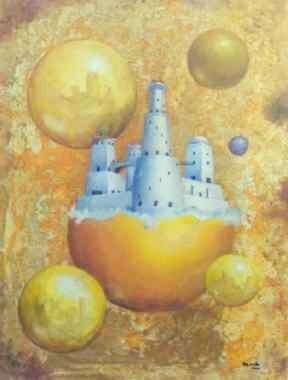 My painting is made using mainly acrylics and oil, sometimes i use other techniques like pastel, egg tempera or engrave. The images are build with symbols, in some way near the magic realism, some from my subconsciousness, sometimes from my life. Since ten years ago, that i discovered the way to generate images in the computer, i had been doing generative art using fractals in 2D, 3D, quaternions, and some recursive art. I use to produce images in high quality printing and videos. I use a lot of different software, each one gives very different results in coloring algorithms and the formulas and the way they are calculated. Each image is near to impossible to be duplicated.